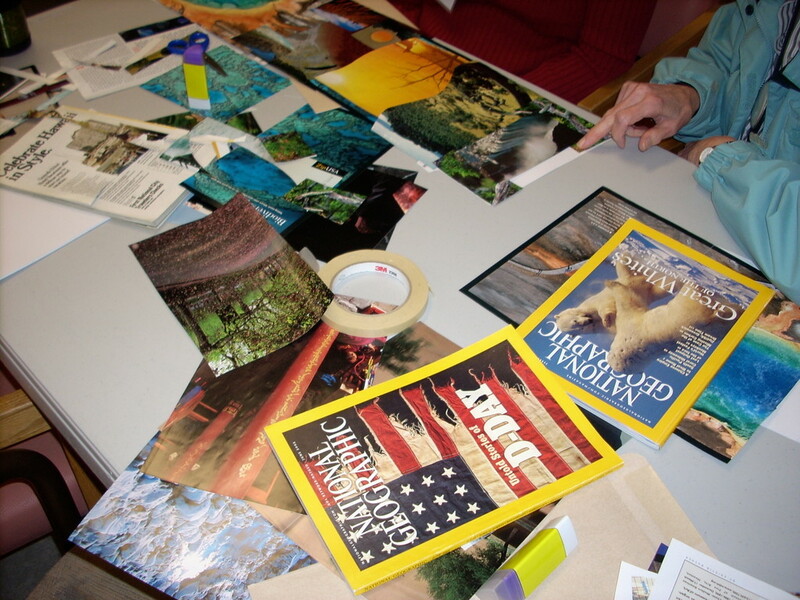 Most people with dementia need facilitation in order to be able to create art. 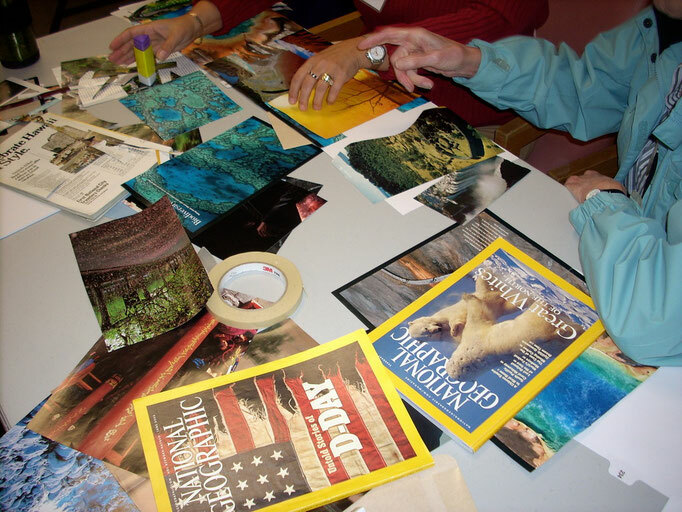 The main reason that many people with dementia choose to participate in art activities is because they want to make connections and form friendships. 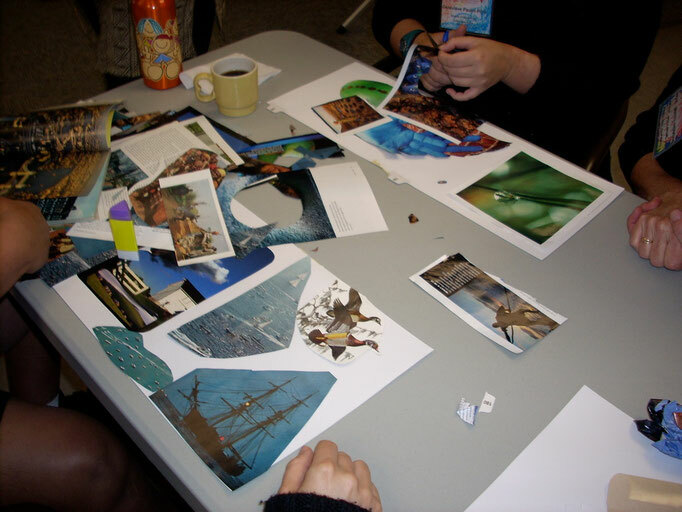 This art activity provides a connective bridge to friendship. 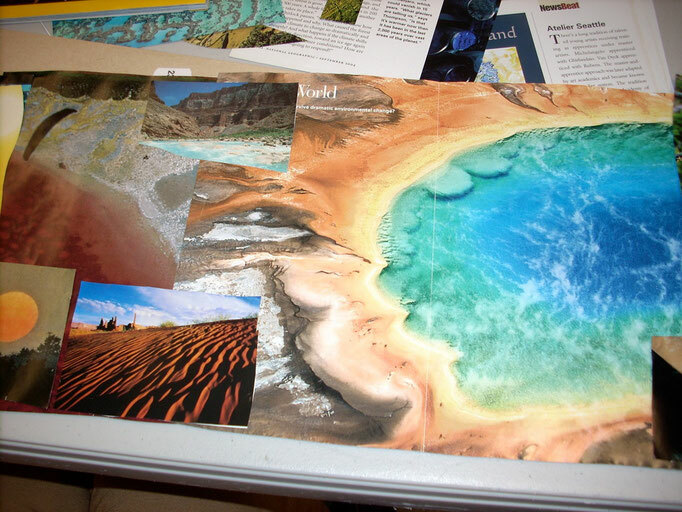 The exercise illustrates the possibilities of using pre-existing imagery to spark connections. Conversations are bridges to memory. Building friendship through art making does not require the person with dementia to create from scratch. Creating conversations with collage provides stimulation from a wide variety of colourful imagery to spark a dialogue between the facilitator/caregiver and the participant with dementia. 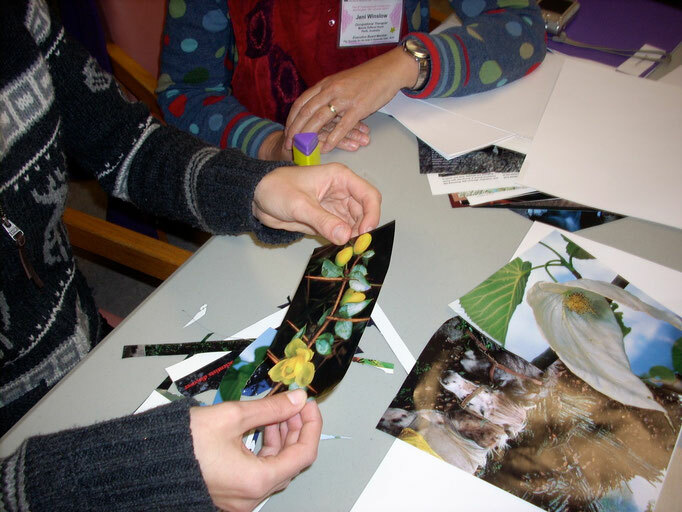 The aim of this exercise is encourage two people to equally express who they are and “meet in the middle” in a collaborative artwork. 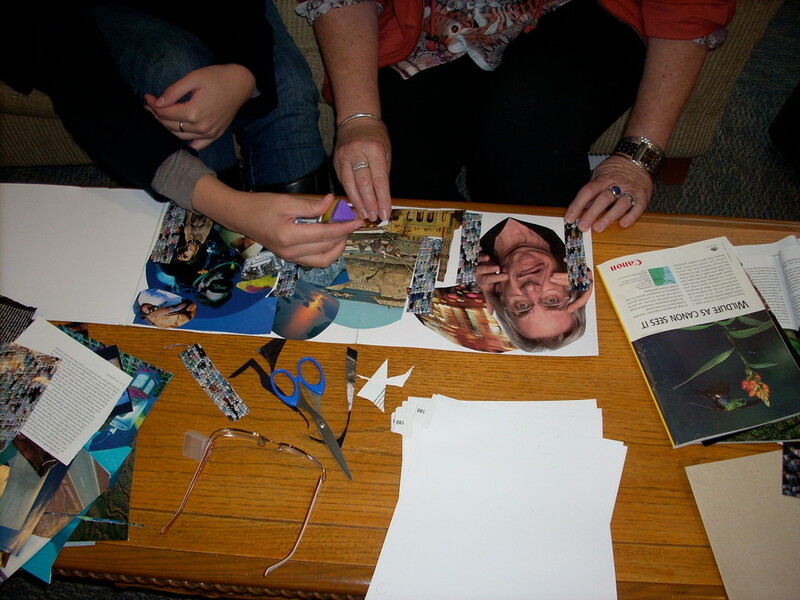 The facilitator supports the artist with dementia to create a spontaneous collage on 8-1/2” x 11” card stock. 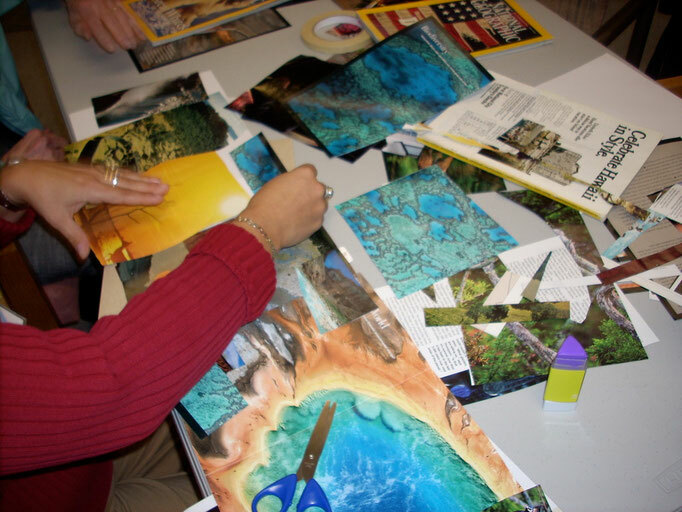 The caregiver/facilitator encourages the artist with dementia to find imagery that he/she likes and assists them in making a collage. 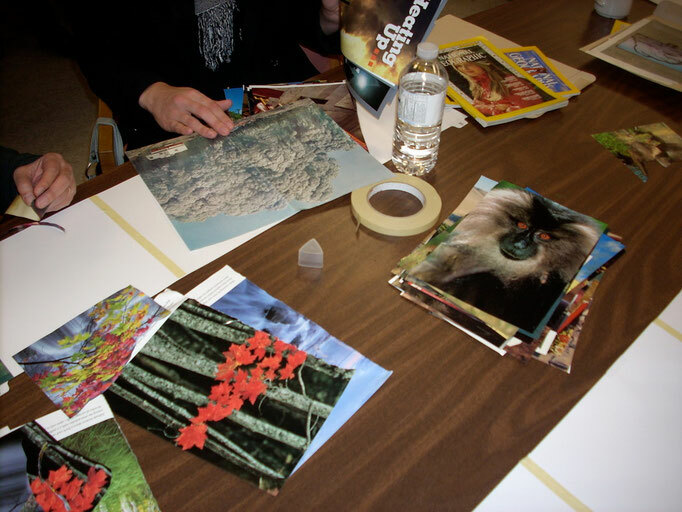 The facilitator invites the artist talk about why he/she likes each image, what memories it evokes, and what feelings are inspired by each image. Together, facilitator and artist practice the art of creative conversation. 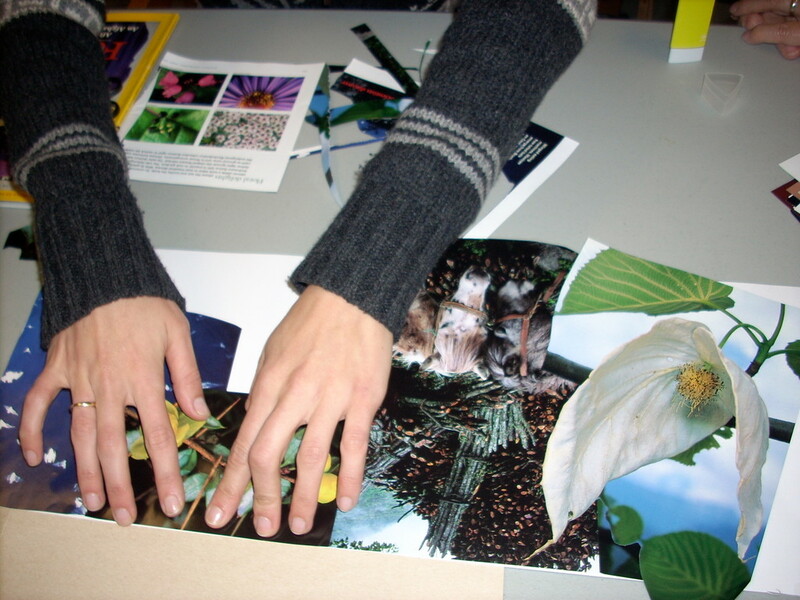 Participants then switch roles. 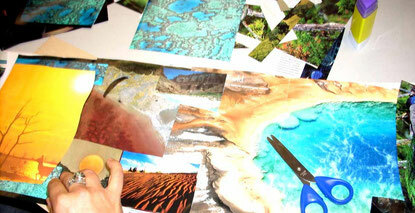 The facilitator/caregiver becomes the artist with dementia. 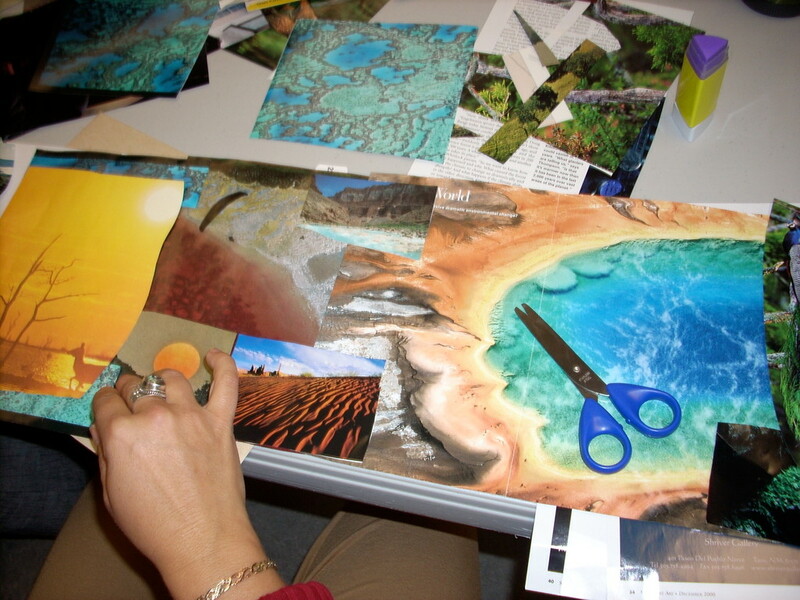 The second artist also creates a spontaneous collage on an 8-1/2” x 11" piece of card stock that will later be taped together and joined with first collage. 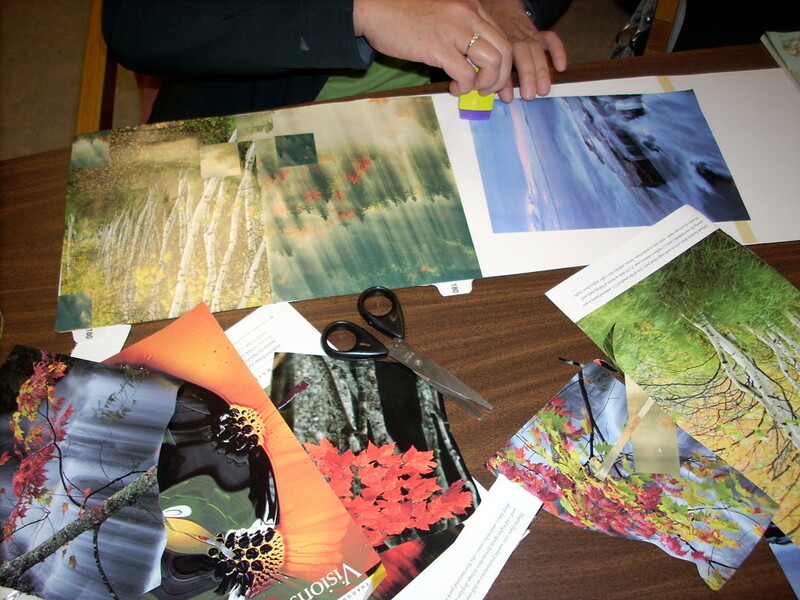 While making the collage the facilitator/caregiver invites the artist to talk about what she/he likes, remembers, and is inspired by in the imagery. Both participants are then asked to find a way to connect the two collages together. 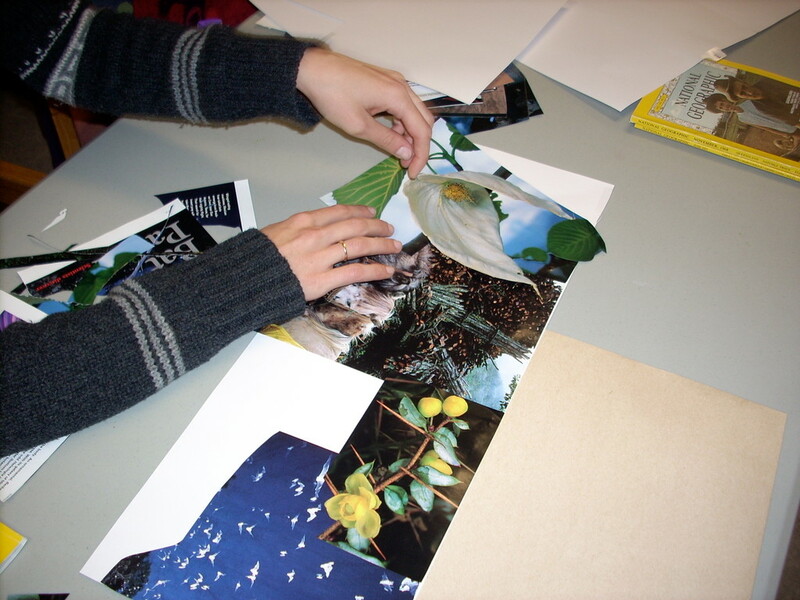 After joining the back of their two collages together with masking tape, they can discuss what they both share in common. 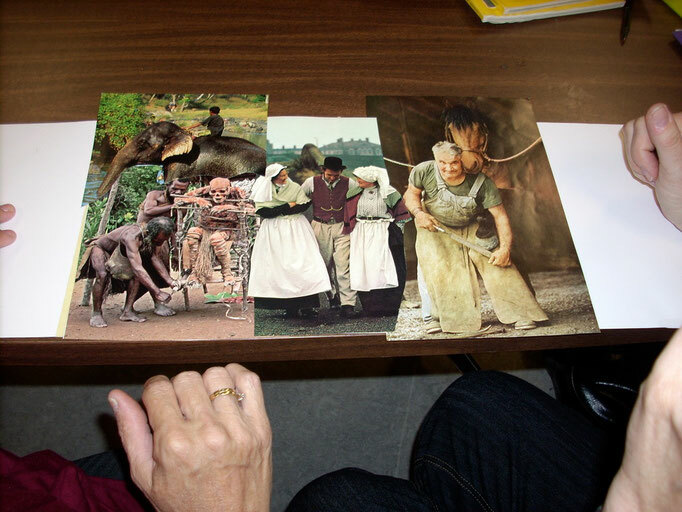 They can also discuss how they are different. 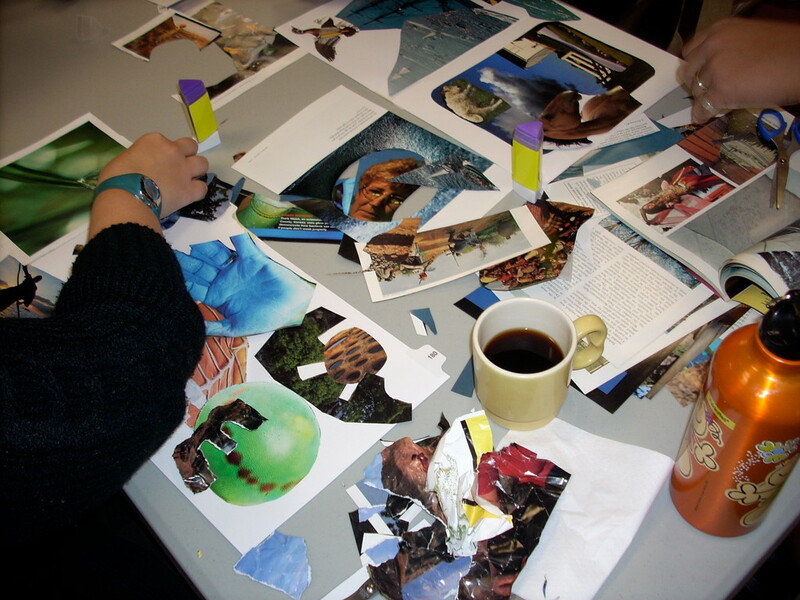 They are then invited find a way to make the two collages “one joined creation” by adding collage elements that overlap over the two collages to tie them together. 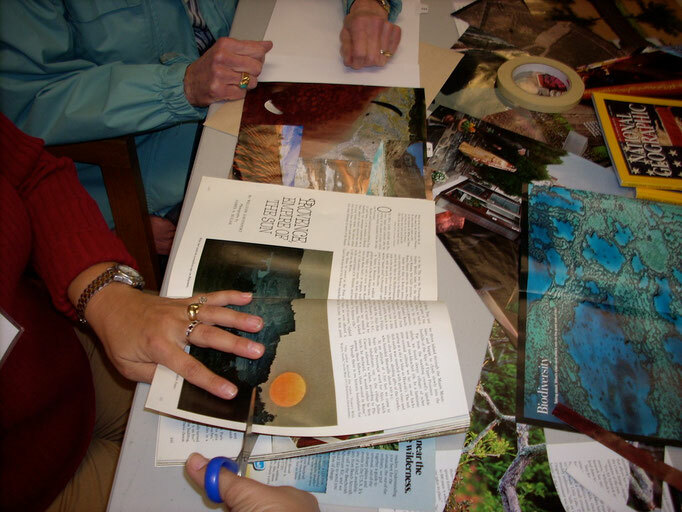 This exercise has been adapted from the e-book How to Start an Art Program for the Elderly by Shelley Klammer.